Tuesday night, my husband came home and gave me two things: a parsnip and a business card. These two things were from people who know I’m all about anything local. 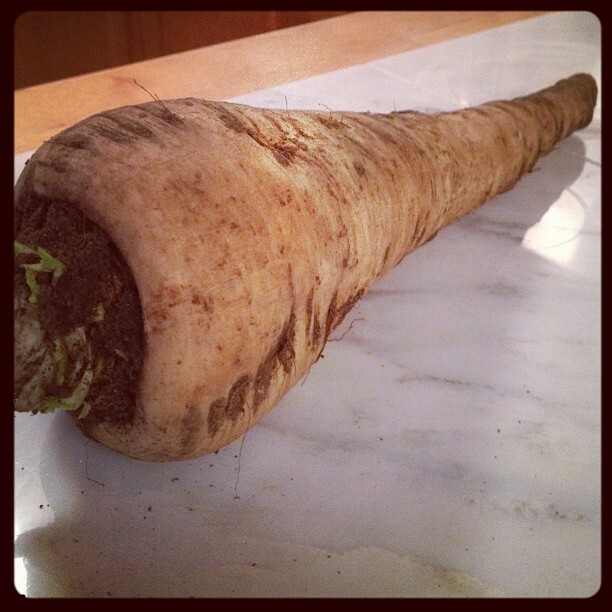 The parsnip was from Valerie’s garden–the last one she harvested. The business card was from our mutual friend and may involve a wine tasting at a later date! When I went to see John, he gave me a newspaper clipping. 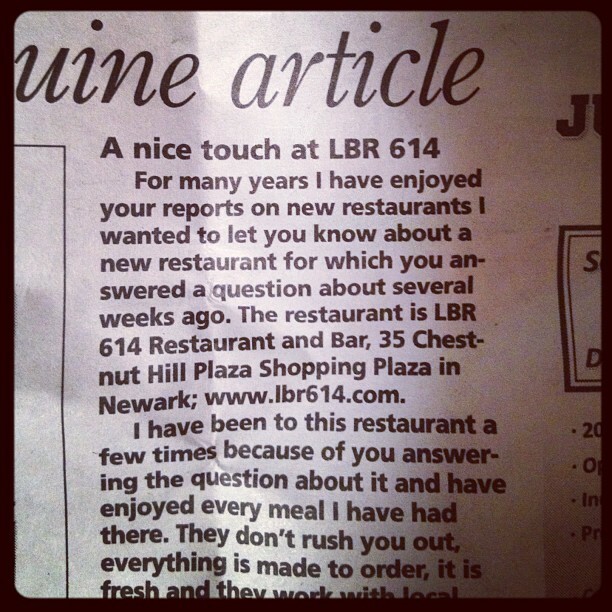 He remembered that I love the restaurant LBR 614 and he wanted to make sure I saw the lovely letter praising Jimmie. "A nice touch at LBR 614"
These gifts got me thinking about the local connections I’ve made since starting this local experiment. My friends and even acquaintances are always suggesting places to visit or where to buy the best local items. I’ve got a long list of places to go and people to meet! In fact, as I’m writing this, I received a text message about a market in Lancaster, PA. And via email, I just made an appointment to talk to the manager of a nearby store that sells local products. I also connected with Saving and More, a great resource for coupons, free offers, and generally learning how to save some money on the things you buy every day. I was pleased to guest post for its owner, also called Rachel. Make sure to check out my post and take some time to look around the site. Lots of fun offers and freebies! I’m excited to see what other connections I’ll be making in the near future!